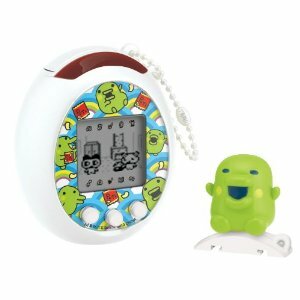 The Tama-Go is the newest American Tamagotchi to date. 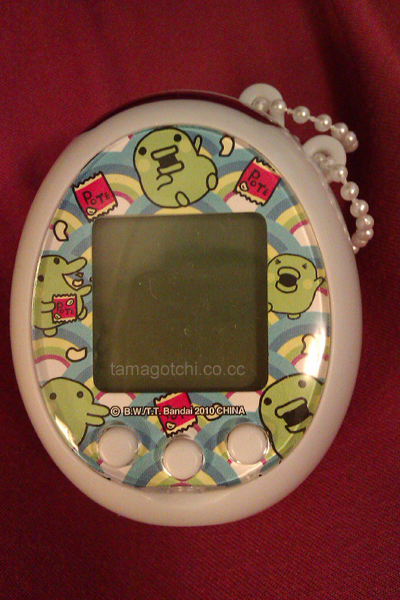 It is meant to emulate the newer Japanese Color Tamagotchis. The only problem is that it seriously fails by comparison. Firstly, it is a HUGE Tamagotchi, which I found disappointing. 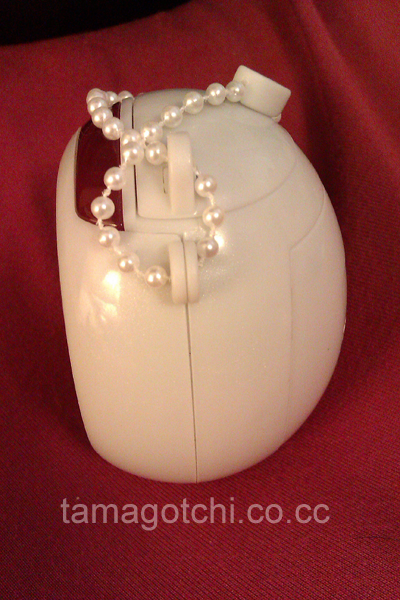 There's no way I could carry this thing around in my purse to play with it regularly. 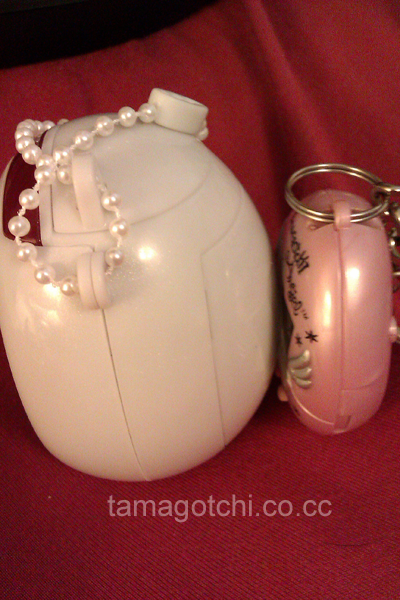 Even the Japanese color Tamagotchis, which are relatively big, are not nearly as huge as the Tama-Go. What's even worse is that it doesn't even have a color screen! You would figure that all that bulk would mean something, but apparently not. I'm not sure what the heck Bandai's reasoning is for the lack of updated features and the bulkiness, but I was disappointed. If they weren't going to give us all the perks, then why bother making something so huge? I did not play with this Tamagotchi, but I got it because the reviews on Tamatalk.com were fairly positive. I feel like it was a waste of $23 (I bought mine at Toys R Us). As for the actual game play, I don't remember much about it because I only played with it for a few minutes after opening up the package when it was first released, but I was very underwhelmed, to say the least. There was nothing interesting about this Tamagotchi. yes, the screen resolution was improved over say the v4 or v5, but it seemed pointless to have improved resolution when they hadn't updated the screen to color. If they aren't going to update the screen to color then I'd rather stick with the vintage style pixelations. Maybe other people don't care about this, but I was disappointed. 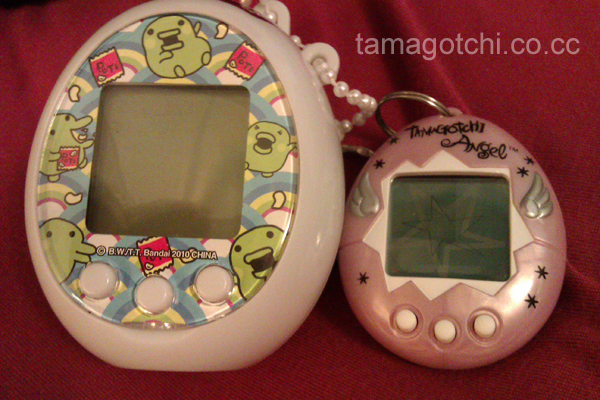 All of that said, it is still a major improvement from other Tamagotchis. it has some enhanced features over other versions of Tamagotchi that I'm sure other people will find impressive, especially if they haven't played with a Japanese Color tamagotchi, but if you have tons of experience Tamagotchis you might be saddened by this release :( If they had designed it to be as compact as a v5 then I would have been far more impressed, despite the lack of features that the Japanese version contains. I have to say, though, the characters are fairly cute, which works in its favor, all else aside. Another thing that I found utterly ridiculous was the concept of attaching a figurine on top just to unlock different features. I do not approve of this concept because its basically a ploy to get consumers to purchase more accessories in order to access the full abilities of the pet, instead of just including them from the get-go (very punny). 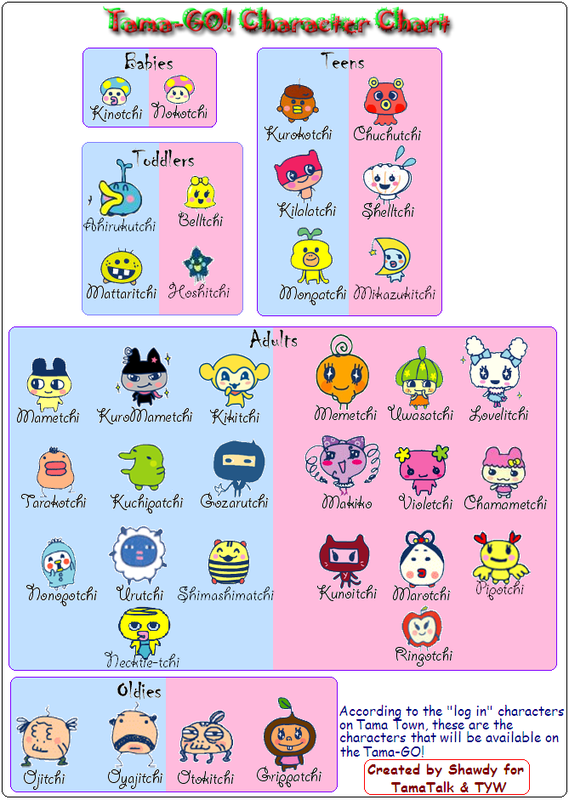 While connection Tamagotchis have always sort of been this way (you have to purchase another Tamagotchi or find someone else to connect with in order to mate them together), I think this simply goes too far and is clearly just plain manipulative on Bandai's part.